An email is nice, but a thank-you card is better. 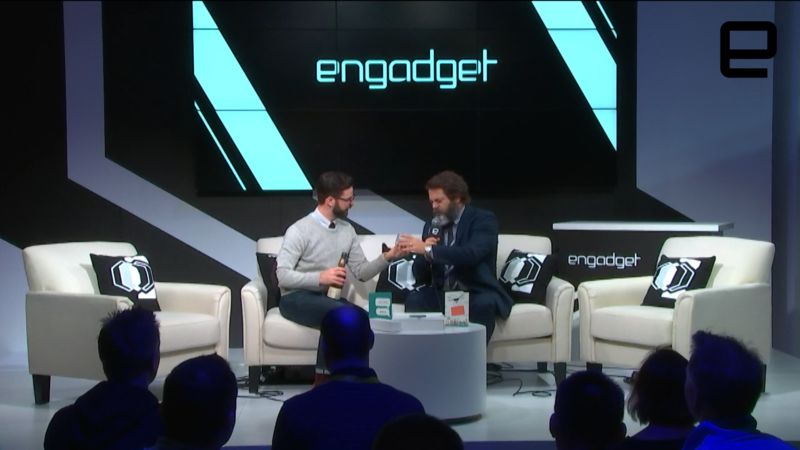 Nick Offerman -- star of Parks and Recreation, author of Good Clean Fun and carver of emoji -- made his first trip to CES this year. And no trip to the biggest tech show of the year would be complete without a stop at the Engadget stage. Offerman came by to share his thoughts on technology's pitfalls, working with your hands and the power of greeting cards. No, seriously. As part of American Greetings' new #DeviceLikeNoOther campaign, he is reminding everyone that sometimes an email or a text message isn't the best way to communicate how you feel. Sometimes there's just no replacing a physical card.